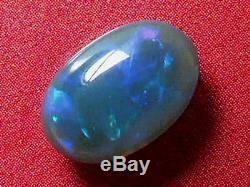 Welcome to Opalworld- australia (Opal wholesale price). 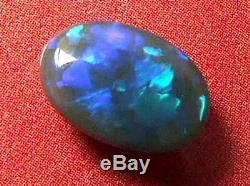 Australian Lightning Ridge Opal approximate. 1.73 carat 10.4 mm L x7 mm W x3.7 mm H Thick. Mix Rolling flashy nice gorgeous colour pattern, Jeweller`s standard nice cut and quality polish. 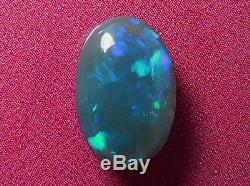 The colours jump across the face of the opal with every movement, Dazzling play-of-colours all of the time. 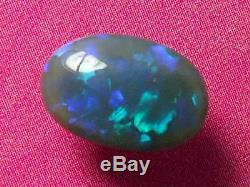 It is a genuine solid good quality gorgeous Lightning Ridge black opal. 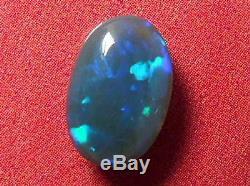 Some sand on the back of the opal , if you don`t mind. We take great care to represent the opal photos as close as possible to their appearance. 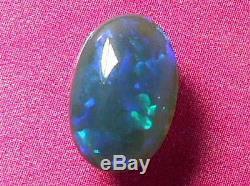 However, Opal colour can change under different light condition. 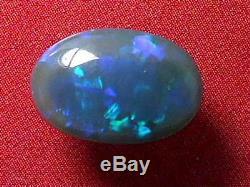 But we can guaratee the opal we sent to you is the same one on the photo. If you are unsatisfied with your opals in any way. 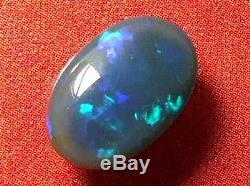 We usually post opal parcels on Monday or Tuesday morning. If you like to receive your opal early , Please pay before Monday morning 8.00am. We live a long way away from the post office. 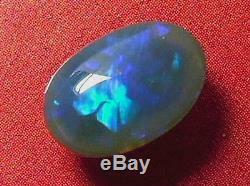 Thank you for browsing our opals. 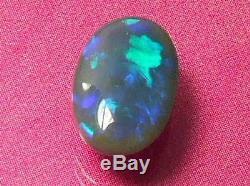 The item "Beautiful Gorgeous Purple-Blue-Green Colour Pattern Solid Black Opal 1.73 carat" is in sale since Friday, December 4, 2015. 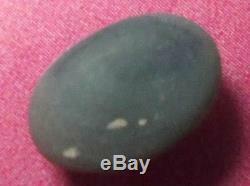 This item is in the category "Jewellery & Watches\Loose Diamonds & Gemstones\Loose Gemstones\Other Loose Gemstones". 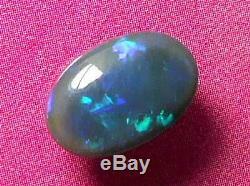 The seller is "opalworld-australia" and is located in Queensland. This item can be shipped worldwide.